br It´s been a month since I started in this place and I like It much more every day. Thanks people you are the best of this site!!!! 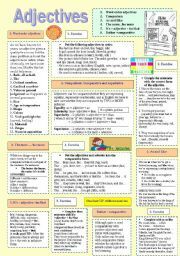 Countables and ucontables with a brief explanation and different exercises. Enjoy! and once again thanks for sharing your amazing work. 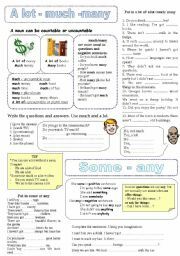 Hello: I´m dealing with a group of high/intermediate level students and since I had any worksheet about the topic here it goes, I hope It´ll be useful. Be happy. 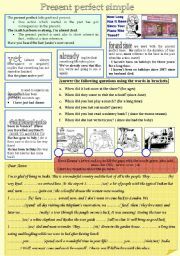 This is a simple worksheet about present perfect and its most common disjunctions. I hope you will find it useful. The text is no copied fron anywhere but my mind and so the exercise. Kind regards Vero. 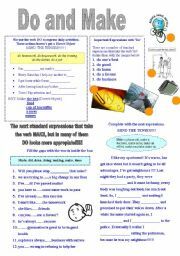 This printable is dedicated to Veljaca for her invaluable help! 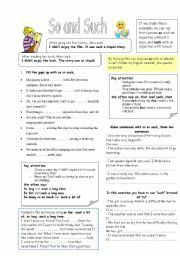 As you can see there are several images a bucket of water, a bag of money, a bottle of wine you can also add another to explain to estudents. Enjoy!! 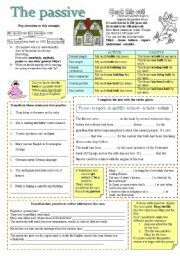 I´ve made this worksheet to show mainly two kind of preffixes -in and its allophones and -un. 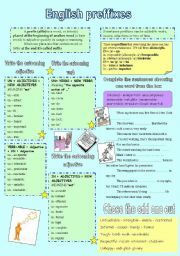 The worksheet is fully editable and of course feel yourself free to incorporate more as -dis for instances. Let the students write on it and it will be a very nice studying notes. I hope you like it. 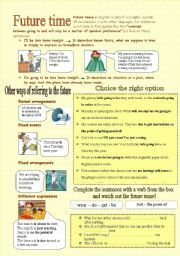 Several exercises and explanations about DO and MAKE. Hugs!!!! 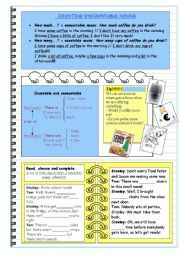 Carrying on with the worksheets related with the power point, I have changed this one a little including real material from the novel Twilight, I hope you enjoy!!! Please take into account that the definitions are not taken from the dictionary but edited, so feel free to modify them.